Goodreads: Joanna Stafford, a Dominican nun, learns that her favorite cousin has been condemned by Henry VIII to be burned at the stake. Defying the sacred rule of enclosure, Joanna leaves the priory to stand at her cousin’s side. Arrested for interfering with the king’s justice, Joanna, along with her father, is sent to the Tower of London. Kritters Thoughts: Have you ever wanted to be swept up into a mystery from another time? Pick up this book. From the beginning, the reader is taken to a different time and place to experience England after the demise of Anne Boylen. But the special nuance of this book is that you don't spend your time reading about the magical times at court, instead you are in a nunnery with a girl who came from a family of stature who has decided that a calling from God will take her in a different direction. As I don't read a ton of historical fiction, I am always swept away by a book that can easily take me to another time and place and I fall in love with characters no matter what time it is. 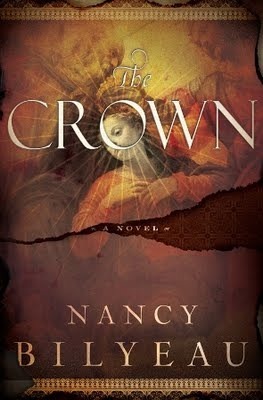 A mystery with murder and intrigue with the backdrop of the fight between the church with nuns and monks and the kings and dukes was a page turner from beginning to end. The twists and turns made for a deep story that could be read twice and be enjoyed again and again. Normally, I don't compare one book to another or say if you like this then you should read this, but this book is a perfect companion to The Other Boylen. As this story takes place after Anne Boylen has taken the heart of Henry the Eighth, this story continues the history of England and the battle between church and state.